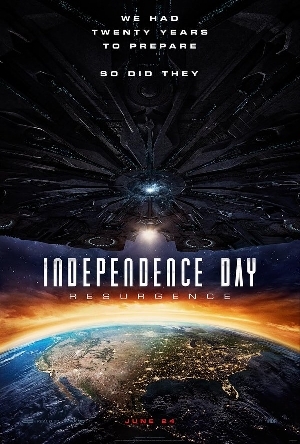 When does Independence Day: Resurgence take place? 20 years after the War of 1996, aka. the first Independence Day. What happened to Will Smith's character Steve Hiller? According to an official report, Captain Steve Hiller (Col. Hiller by 2007) died during a test flight of one of the new Alien-infuzed Earth Space Defence fighter jets. His son, Dylan Dubrow (played by Jessie T.Usher) will carry on his legacy. The Aliens are back. Obviously, the Alien race Earth defended itself against from back in 1996 are back. After taking down the first Mother Ship and capturing many of the hostile invaders, locking them in secret facilities - their Alien brothers have come to rescue them and wreck havoc on Earth in the process for their transgressions. During this time, Earth's scientists and governments have been busy advancing their weaponry and technology in preparation for the next attack. Unfortunately, the Aliens also had time to prepare and have brought with them new weapons of their own and a ships which dwarf the original fleet's. 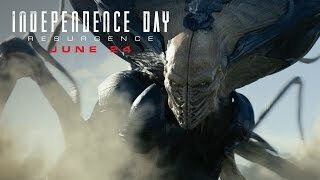 Directed by Roland Emmerich and written by Roland Emmerich & Dean Devlin, 20th Century Fox will release Independence Day: Resurgence in theaters on June 24th, 2016. Never miss an update about the film's cast or plot and get the latest movie news by visiting the Independence Day Resurgence blog! 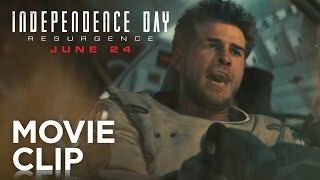 Looking to discuss Independence Day: Resurgence? Join the Independence Day: Resurgence forums & geek out with thousands of other fans! Visit the Independence Day: Resurgence image gallery on Scified to browse the latest movie stills, posters and trailer screenshots! 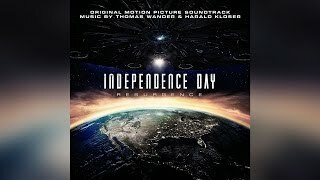 IndependenceDay2-Movie.com is an information resource for film enthusiasts looking to learn more about the upcoming blockbuster Independence Day: Resurgence. Providing the latest official and accurate information on Resurgence, this website contains links to every set video, viral video, commercial, trailer, poster, movie still and screenshot available. This site is an extension of the Sci-Fi Movies Fandom on Scified - a central hub for fans of Independence Day looking to stay up-to-date on the latest news on Independence Day: Resurgence. Images used are property of their respective owners. Independence Day: Resurgence and its associated names, logos and images are property of 20th Century Fox and are in no way owned by Scified and its related entities. This is a fan-created website for the purpose of informing and exciting fans for Independence Day: Resurgence's release. If you have any questions about this site, its content or the Scified Network in general, feel free to contact Scified directly.